Los Angeles – Despite gold’s rally on Friday, the price of gold closed slightly lower, down just 0.54 percent for the week at $1,335.00 an ounce, while silver prices gained 1.75 percent for the week closing at $27.44 an ounce. The Gold/Silver ratio (GSR) fell slightly to 47.81, as silver became more expensive relative to gold. The week began with gold prices under pressure from monetary tightening in China, improved economic indicators in the U.S., and profit taking. Gold prices recently tested their November lows, but physical demand stepped in to support the yellow metal. The gold price dipped in early trading on Tuesday on news the Bank of India had followed Brazil and China in raising interest rates. India raised rates just 25 basis points while experts said the hike could have been as much as twice that amount. This is the seventh time in a year that India has attempted to fight inflation by raising rates yet it is still growing at more than 8 percent annually. Republican and Democratic senators are currently introducing bills aimed at the repeal of the controversial Form 1099 reporting requirements legislation that is broadly opposed by several sectors of small business, including gold coin dealers. Coin dealers are among the businesses facing cost increases since the $600 threshold requirement is less than half the cost of a single ounce of Gold. The law, as it currently stands, would require entities to file a Form 1099 with the IRS whenever they make a transaction that pays out $600 to another party. The primary intent of the bill is to cut down on tax evasion and to help pay for the new health care program. The main stumbling block for defeating the legislation has been how to replace the health care funding source that would be lost. Estimates are that Section 9006 would raise $17 billion to $19 billion over the next decade. The FOMC met for the first time in 2011 on Tuesday and Wednesday with the results of the meeting being in line with analysts’ expectations. “Although commodity prices have risen, longer-term inflation expectations have remained stable, and measures of underlying inflation have been trending downward,” the U.S. central bank said.”The economic recovery is continuing, though at a rate that has been insufficient to bring about a significant improvement in labor market conditions,” the Fed said. The FOMC is continuing with its $600 billion asset purchase program (QE2) unchanged, and near-zero interest rates for another “extended period” of time. 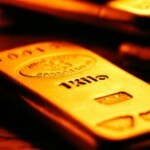 For investors not already positioned in gold or for investors looking to add to their holdings, many analysts believe that the current correction in gold bullion will be the lowest prices we will see in 2011, therefore, it is imperative that investors take advantage of this buying opportunity. Since the beginning of the ten-year bull market in gold, yearly lows have occurred in either January or February in seven of those years.